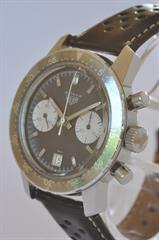 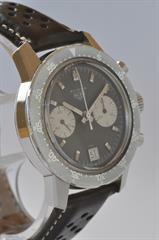 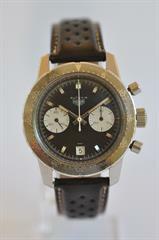 The 7863 Autavia 30 Dato is quite a rare Heuer with only a handful or so known to the Heuer community. 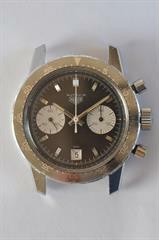 I believe it came later than its sisters using the same compressor case, the 7763 Autavia 30 (Valjoux 7730) and 2446C Autavia 12 (Valjoux 72), and as the calibre 11 automatic Autavias arrived shortly after it was not on the market long enough to sell in very large numbers. 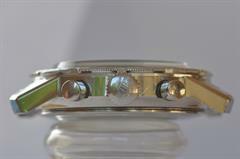 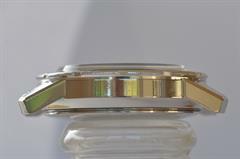 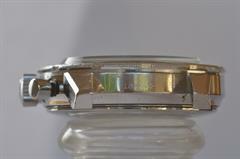 The bezel on my 7863 is very faded and now have an almost mirror like surface. 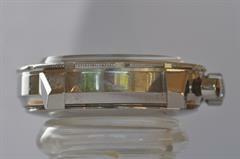 Not unattractive like many other faded bezels.